Hey Doc….Why Won’t my Chickens Lay? It’s a question I get asked a lot. Professional farmers usually expand the question to “why aren’t they laying more”, or “why aren’t they laying bigger/smaller eggs”, or “why are they laying later/earlier in the day”. These guys know a lot, and hardly ever ask simple questions. Which is why I hardly ever give them simple answers (hah! take that 😉 ). So…if you want your chickens to lay eggs during our period of decreasing daylength (June 21 – Dec 21), you have to fool them into thinking its spring. Luckily, you don’t have to teach the chickens anything….if you’ve never tried to teach a chicken something…don’t…..one or both of you will get really frustrated. Daylength is actually sensed directly by the brain….it doesn’t even take vision. The pineal gland in the birds brain actually reacts to light energy penetrating the thin spot in the bird’s forehead. Researchers use a strain of genetically blind birds to experiment on light impacts on hens. I don’t know about you, but I find that REALLY cool. Interestingly, it also corresponds to the location of the fabled “third eye” that psychics use to “see” things us Muggles can’t. Maybe psychics just have thin skulls? But I digress…. Back to practical. In Toronto, the longest daylength is 15h 26m on June 21. This is latitude dependant, so if you live somewhere else, you will have to look up your area (Saskatoon is 16h 45m for example). If you don’t want your hens to stop laying eggs, you need to keep daylength static. 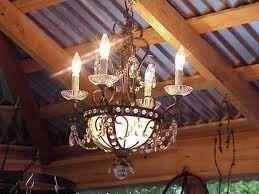 It’s easy enough….lights and timers are cheap and easy to install. They don’t have to be very bright either (the lights, I mean, not the chickens). The minimum is about .25 foot candles in intensity….the easy way to tell is to sit in the coop with a newspaper…..once you let you eyes adjust, if you can still read the paper, it is bright enough. Effecive, and HUGE style points! Effective, Available and cheap....a timer will make your life WAY easier. Soooo….if your hens are going out of lay, you should look up the daylength at your latitude (Google is magic! ), set a light and timer up at that daylength. Then keep it set at that time for a week or two. Then increase the daylength by about 15 minutes per week until they start laying again. I should take less than a month before you see eggs again. One small point…when you set up your timer, make sure your lights come on before dawn and go out after sunset, or you will have really weird daylengths. Also, if your birds aren’t at least 18 weeks old, this won’t work either…..they have to be physically capable in other ways before light can have an effect. This entry was posted in Backyard Flocks - How Tos and tagged backyard chickens, chicken, chickens, coop, eggs, everything eggs, laying hens, poultry, vet, veterinarian. Bookmark the permalink. Love your blog. I wondering if a hen will use a nesting box if there is an egg in it already. Absolutely, a hen will use a nest box that has been “seeded”. Chicken Vet volume of useless facts….that’s where the term “nest egg” comes from. People used to put a ceramic egg in nests to encourage hens to lay there….the idea was that you put one in, then the next day there are 2 or 3. Same as is supposed to happen with investments….but more reliable. I have been living the light on all night and turning it off in the morning. Is this ok? How much light does the hen need a day to continually lay egg? I have been living the light on all night and turning it off in the morning. Is this ok? Actually, Nelson, this is not the best way to approach this. Chickens actually sense the DARKNESS as a key to laying their egg….this is how they lay eggs in the morning. Giving your birds essentially 24 hours of light can put them out of lay. A daylength of 15-16 hours sense to work best. Putting your lights on a timer, or turn them off before you go to bed, and your hens will likely respond better for you. Hey, I have 7 chickens. One of my arcaunas was laying – maybe 3 eggs total and then stopped. It is so weird. I don’t understand. We got all of our chickens at the same time so now four of the chickens are laying and the one has stopped and two of the chickens haven’t even started. Do you have any idea why the one would stop laying? I don’t know what to do. thanks so much. Hi Linda….sorry to hear that they’ve stopped laying. Are you giving them artificial light? Chickens naturally go out of lay in the fall if you don’t give them supplemental lighting. Some breeds are less prone to laying, and go out of lay easier….what are the other breeds you have? I have a barred rock (currently laying), a buff orpington(currently laying), a black australorp(currently laying) two araucana chicken (one laying) and two wyandottes(neither laying). We got them all six months ago. A month ago the barred rock started laying and then the others started slowly. We are actually having a lot of sun here in the nw right now so I don’t know if it is the light. It is weird that the one araucana is laying almost every day and the other stopped. I don’t know enough about chickens to figure it out. Our eggs are also still really small – how long does it take for them to get larger? I really appreciate your help. It is interesting that you have some of your birds in lay, and others not. This can be normal, since birds do go in and out of lay during the year, especially heritage breeds. Anything that causes stress can cause hens to stop laying as well. If their nutrition is not right, they will stop laying to conserve nutrients…this could also explain the small eggs. Again, the general theme is that if condtions are not ideal, it is not a good time to try to raise young, so hens will stop laying until conditions get better. Also, it is not the amount of sun that is important for hens to keep laying….it is the amount of hours of light in a day. Hens read increasing day length as springtime, and a good time to have chicks, and decreasing daylenth as fall, and they are less likely to lay at this time. My suggestions would be to ensure you are feeding a complete feed designed for laying hens. If you want to give grains or treats, give these in addition to chicken feed, not instead of. Make sure the hens have a source of calcium, such as oyster shell that they can pick at if they feel they need it. Give the birds supplemental light in their coop at night so that they have a constant, or increasing daylength….Im not sure of your latitude, but if you look on the internet, you can find sunrise and sunset times where you live. 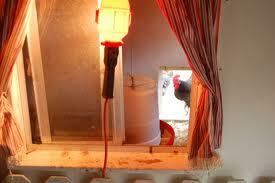 Turn your lights on before sunset, and leave them on for an hour or 2 beyond that….it will help the hens resume laying. Naturally, it is important to monitor the out-of-lay hens to make sure they are not sick, as well. Hi. I have two black Moran’s which were laying, recently bought 13 new chucks and 3 cockerels and moved them all into an 8×6 shed which I have upgraded to a coop with 3 large nest boxes. They have been in the new coop for over a month now and I haven’t had one egg from 13 chucks! I was wondering if the next boxes are too big and if I should put a cover over the row of nest boxes? The coop is cleaned out regularly, they have clean water and fresh pellets each day and I do include some mixed corn each day…..help please! Couple questions….do you use supplemental light in your coop? Do you have any idea how many hours of day-length the chucks were on before they moved to your place? Usually, egg production is controlled by light. If the nests are inappropriate, it won’t keep the hens from laying, they will just lay the eggs elsewhere. The lack of eggs is more likely due to a) stress, b) light or c) nutrition. I’m assuming that your pellets are laying hens ration, and that they flock has “settled” in together since they have been mixed, so my first concern would be light….assuming the chickens are all above 18-19 weeks of age….if they are less than this, they might still be too immature to lay, no matter what the environment is. I have four chickens same age, I receive three eggs a day for a month now. Why would one not lay? Also bought some older chickens and they aren’t laying at all… But their moulting, when can I expect them to start laying? Do you know if it is the same chicken who is not laying each day, or do they take turns? If it’s the same one, there is a good chance that she is being bullied away from food, and not getting enough nutrients to allow her to lay. Or, she may have something wrong with her, hormonally….is her comb and wattles similar to the others? As large? Similar colour? If it is a different one out of production each day, I would check to make sure that the hens have enough calcium and protein. There is very little that can keep a hen from laying once she is hormonally primed….as long as they have the raw materials to make the egg, they will. As for the moulting hens, the time it takes to come back into lay depends on the light levels, day length, and nutrition levels. When professional farmers molt their flocks (not done in Canada), birds come back into lay in about 3 – 4 weeks, but that is with optimal light and nutritional management. Especially coming into winter, it may take longer….sometimes quite a bit longer, up to 3 months. Hope this helps…the subjects are pretty convoluted, but those are the bare bones. I am in a quandary. We have a 10 x 12 coop with 10 nesting pens. We have 35 available laying hens that are about 9 months old. There is one rooster in with them. We have timers on the lights as we live in WA state and it is dark this time of year. They have a large outdoor area (in my orchard) to run each day. We only get 5-8 eggs a day. They are a variety of hens but all are cross breeds. (egg/meat) They get fed 2 x’s a day Purina Layer crumbles plus scraps from the kitchen. What am I doing wrong? They all seem to be healthy and happy. I admit, hens that are not producing can be a puzzle. You need to be a detective to find out more accurately what is going on. Remember, laying an egg is committing to be a parent for a chicken. They will only do this if they feel conditions are favorable….ie, if they have enough feed, water, light, comfort and a small enough amount of stress. So, laying eggs happens when everything is right, which means that if any of a large number of things is wrong, they will quit. Is there any way you can discover if it is the same chickens laying each day? Ie. could you somehow split your flock in half (or quarters would be even better), and see how many eggs each group lays for several days? If the same chickens are laying each day, I would start to suspect that they are hogging the best part of the feed, and the other hens are not laying well because they cannot compete well enough. If the production jumps from bird to bird each day, I would look at the daylength, or possibly plane of nutrition…do you have any idea how much feed the birds are getting on average? Is there any chance that the hens (or another pest) are eating the eggs? some hens develop a taste for eggs, and can mop up quite a number of them, so it seems like they arent being laid. Do you give supplemental calcium in the form of oyster shell or limestone? If the calcium level is insufficient, the hens won’t lay well….. Sorry to bombard you with questions, but all these have an effect…as does the temperature, air quality and humidity of the coop. Again, anything that stresses the bird, or is insufficient nutritionally will cause the hen to stop laying, this is how they stay healthy….if they continued to lay eggs in this situation, they would get sick. Let me know if you have any more information, and I might be able to narrow down my suspicions as to what your individual problem might be. Most helpful answer yet. Thank you Doc. We have 8 hens a a rooster and only one of them are laying. She escapes and lays her eggs in a special place. how can I get the others to lay? we have 8 hens and one rooster. Only one of them is laying, and she lays her eggs outside the run. We have 5 brown shavers, (one laying) 1 rhode island red, 1 leg horn, 2 silkies (one rooster) and one we arent really sure about. I`m not sure how your flock was doing….if this situation is a drop in egg production, or just has never occurred. A chicken laying an egg is a complicated process, but is controlled by a few things….nutrition, light, comfort and health. Basically, hens won`t lay if they are sick, or scared, or don`t have the raw materials (nutrients). If you have them in a comfortable coop they are used to, and are feeding them a balanced diet with plenty of available calcium (I recommend a layer feed that is produced by a feed company….making up your own feed ration is quite tricky), then the problem is quite likely light stimulation. I assume you live in the northern hemisphere (Hey, I do, and thus, everyone else must too…..). If so, the days are getting longer, and will help the hens start laying. If you want to help speed this along, put a light bulb in the coop, and have it go off a couple hours after sunset, effectively giving them a longer daylength. Hens want to lay in the spring, so increasing daylength is a strong incentive for them to start laying. Also, the cold weather will slow them down a bit, so make sure they are well sheltered, and have attractive nest boxes to lay the eggs in. I know this is a lot of suggestions, but it basically comes down to making the birds healthy and comfortable, and then convincing them that it is spring!!! Dear Mike, Great sense of humor…Thank God!!! Now, what is the consensus on chickens eating mice and sparrows… Yes. Sadly, my fluffy babies are grossing me out. I am committed to maintaining a pest free environment but occasionally despite all best efforts mice nests are discovered. If by the chicken, then i usually have to whack it over the head with a rake to get it to drop its prize. The other chicken , a cream leg bar, had the head of a sparrow. Couldn’t find the rest of it, so not sure how it got there.. I just won’t eat the eggs for a couple of days… but ewh!!! is it safe? Secondly, they are so spoilt!!! they are driving me nuts. I buy purina, scratch and peck, oyster, grit, flax seed, niger seed, sunflower seed, bugs, worms. Molasses, yoghurt, greens from the farmers, cut grass from the neighbours, I do the lot… They in turn eat the eggs… I am ready to chuck it all in. THis is my third flock. They are 2 salmon favorelles, 1 golden lace wyndotte, 1 frizzled cochin, 2 old timers, 3 cream leg bars, 1 speckled sussex ( who is unbelievably greedy)… is it the breeds being mixed.. Should I just opt for one breed.? I am feeling very negative towards them right now.. Sulking in Spokane. Don’t worry about your little vicious feathered friends. It is normal for hens to hunt and eat meat of various descriptions in their normal diet. Worms, mice, any dead thing they find, each other….all are attractive sources of protein. As for the egg eating, it is a habit, as well as an easy source of protein. Once they start, it is tough to break them of the habit. One simple method is to design your nest box with a sloping floor so that the eggs roll away from them to a spot where they can’t reach the eggs. That is a major reason why all professional farms are designed to have the eggs roll away….I have seen flocks eat 30% of the eggs laid each and every day. Your breed selection depends on why you have chickens in the first place. If it is mainly get eggs and control the inputs, you should get commercial type hens (SexLink browns, or Leghorn Whites). They are the most domesticated, and produce the most eggs. If it is to have pretty hens around, and get some eggs on the side, the sky is the limit for colours and fanciness. The side benefit to this is that your eggs will be weirdly coloured too! If you are simply trying to get cheap eggs, you would likely be further ahead to buy them at the supermarket, in my opinion. If you are trying to stimulate the flock back into lay, I would continue to add light, until the daylength is around 15 hours. The white light is not nearly as stimulating to featherpicking as natural light is, so I would not worry about that. If they are still actively losing feathers though, you might want to wait until most of the feather loss is done (ie the molt is over) before you stimulate them with light. Pingback: Coop Nestboxes Still Empty – Where Are My Eggs?